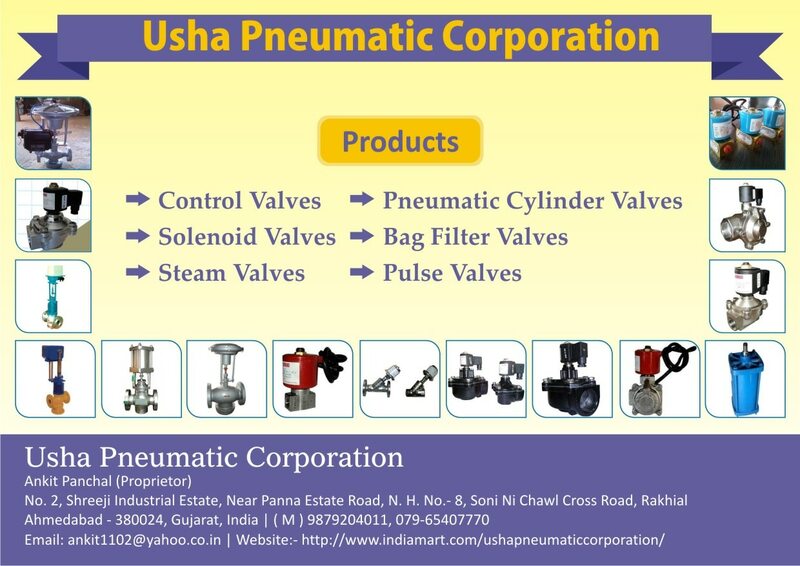 Y - type control valves supply in Punjab, Haryana, Ludhiana and all over India. S.S 304 Screw end and flange end. Use in textile industries. Also use in paper and pharma sector. PNEUMATIC CYLINDER. Our unique quality product we offer is PNEUMATIC DOUBLE ACTING CYLINDER. This product is designed for the purpose to use in the industry like Pharma, Paper, Textile. This product is having sturdy construction makes it to be suitable to for heavy duty work. It is Corrosion resistant to wear and tear durability. More details are mentioned below. Specification :- Its bore size starts from 25 mm to 300 mm. Stroke up-to 2500 mm. End cover is of Aluminum/C.I. Its Barrel is of Aluminum. Seals like Neoprene. Shaft rod is of EN 8. Pressure is up-to 12 bar. Temperature is 85 degree C Maximum. Main medium its works in is Air & Gas.